First Lutheran Church was established 183 years ago in the small rural community of Galion in North Central Ohio. We have an average attendance of 80 to 100 worshippers every Sunday. Last year, our members were asking, “What’s happening to our projected images?” Even with the house lights off, they were bad. Replacing bulbs provided no improvement. Last year, when the final new bulb installation failed to improve the image, I carried photos of the layout of the sanctuary to a media sales seminar in Dayton, Ohio. Darren McDonald of Shepherd Multimedia was extremely helpful in discussing and overcoming the projector problems. We finally learned that the color plates in our projector had faded over time, resulting in the poor image. After looking at the cost of rebuilding the plates, the church opted to replace the 10-year-old unit with a new Hitachi CPWX8265. With 6500 lumens, the new projector provides twice the brightness of the old one, projecting clear, bright colors on the off-white wall of the sanctuary. The cost was only half of the previous projector’s price; a good thing for a church on a small budget! The old projector had been installed in 2003. Initially used simply to show hymn lyrics, or an occasional sermon graphic, or maybe a movie, its use eventually expanded to illustrate a full liturgy, announcements, hymns and lectionary. 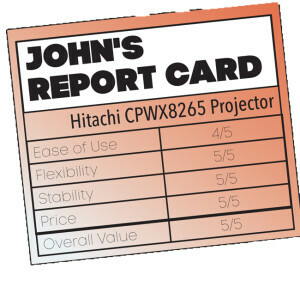 Following the purchase of the new projector, a switch from PowerPoint to ProPresenter was successfully made. Although there was a bit of a learning curve by changing to the Renewed Vision software, there were still many advantages over PowerPoint. The new projector was easily mounted using the old wall-mount fixture and joined into the computer with little difficulty. We upgraded the computer to accommodate the new software as well as adding a separate sound system recorder for service podcasts. It should be noted that the standard lens supplied with the projector was not adequate for the 60-foot throw from the back wall to the front of the sanctuary. The sanctuary, built in 1993, seats about 200 people. Fortunately, we were guided to a company that rebuilt the old lens and converted it to the Hitachi projector, another cost saving feature. 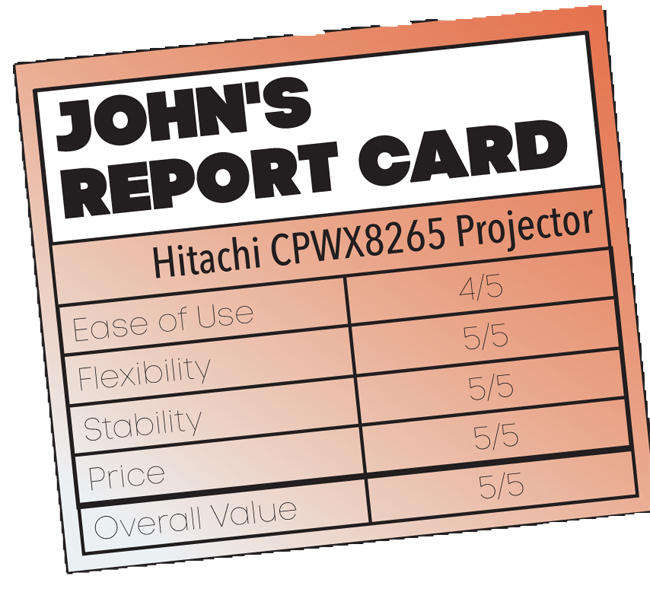 The installation of the new Hitachi CPWX8265 and visual software created an instant WOW factor in the congregation. The use of the new visual aid equipment greatly enhances the worship experience of First Lutheran Church which hopes to use it to a greater extent in the future. And the house lights can stay on! John is semi-retired, and owns his own computer business, and is the ‘volunteer IT’ at the church, where he has been a member for more than 50 years. He also maintains the church website.